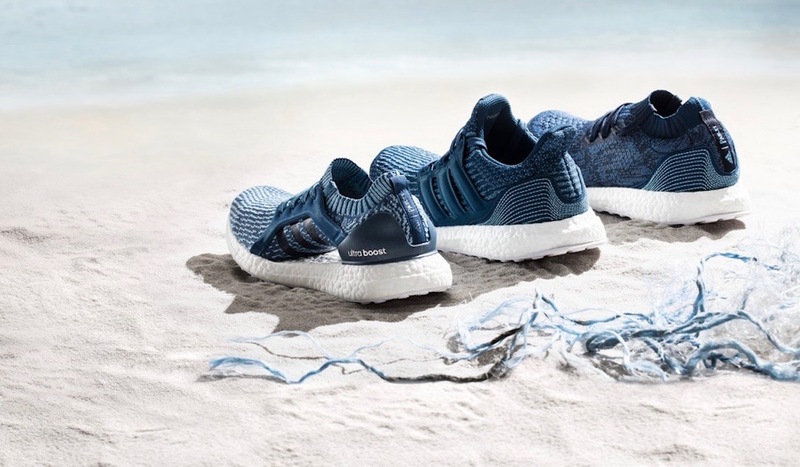 adidas has launched brand new adidas x Parley editions of the UltraBoost X, UltraBoost Uncaged and TERREX Climacool, all decked out in a fresh blue colour scheme inspired by the shades of the ocean. Reusing an average of 11 plastic bottles per pair, Parley UltraBOOST X, UltraBOOST Uncaged Parley and TERREX Climacool Parley feature laces, heel webbing, heel lining, and sock liner covers made from recycled PET material. The UltraBOOST X Parley, UltraBOOST Uncaged Parley and TERREX Climacool Parley will be available from May 10th in-store and at adidas.co.uk/parley. Additionally, as part of its commitment to create a global movement, adidas calls on its global community to join the adidas x Parley Run for the Oceans digital event, hosted by Runtastic, and taking place around World Oceans Day 2017 (June 5-11). Runners are invited to show their commitment to the cause by joining the run – from the city streets, the beach, or wherever they happen to be during that week. To find out more, get involved and sign up, please visit adidas.com/runfortheoceans.